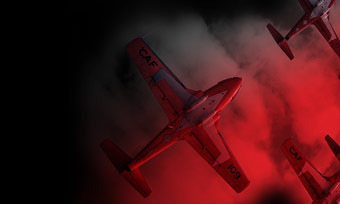 Edmonton Airshow To Host Showline And The Snowbirds! Edmonton is back for the third consecutive year and this year they have nailed down the Snowbirds!!! This show has been slowly growing with an amazing show team and we cannot wait to be in Edmonton again! With selling out the first year and having two jets demonstration teams the second, the Snowbirds have some large shoes to fill! Other performers have not yet been announced but you will not want to miss out on this show if you are in the Edmonton area!! Tickets can be purchased on their website soon at http://www.edmontonairshow.com/ In the mean time, you can sign up for their newsletter to get the first opportunity at tickets! There are a limited number so be sure not to wait!! The show will take place at the Villeneuve Airport on August 19th and 20th and you can follow their Facebook page, Edmonton Airshow for all the latest news and performer announcements!! Get ready for the Snowbirds Edmonton! !